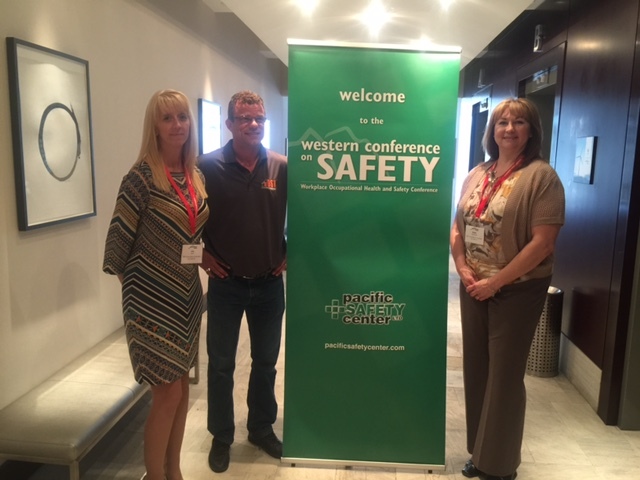 DST’s Corporate Health & Safety team were in Vancouver, BC this past week to attend western Canada’s largest Occupational Health & Safety conference. Just another example of how DST is committed to improving and growing our health and safety program. During the conference our team, Dawn Bagdonas, Lisa Elves and Lance Pizzariello attended 10 courses with keynote speakers that spoke on ways to advance their safety knowledge on several different topics, as well as spent from time at the trade show that held over 80 booths from Canada’s leading suppliers of OH&S products, information technologies and training. DST’s Corporate H&S team had the opportunity to network with various safety professionals and are eagerly looking forward to sharing their experiences with all our offices.